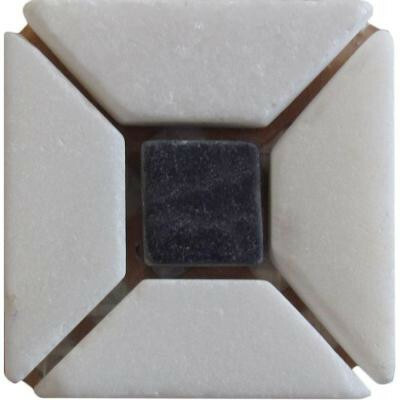 The Carrara black dot insert is a natural stone product with old-world inspiration. This piece coordinates perfectly with the floor and wall tiles of the series. This piece has a moderate amount of variation in tone , which helps to create movement within your design. This particular natural stone is suitable for residential and commercial installations, including kitchens and bathrooms. You can buy this product in our internet market. We will be glad if you make the right choice. Unglazed natural stone with a moderate variation in tone between pieces.